Voted one of the best! We are Santucci!4 generations servicing theNORTHSHORE and Chicago. Highly skilled, fair priced, honest, and easy to work with Just good people. 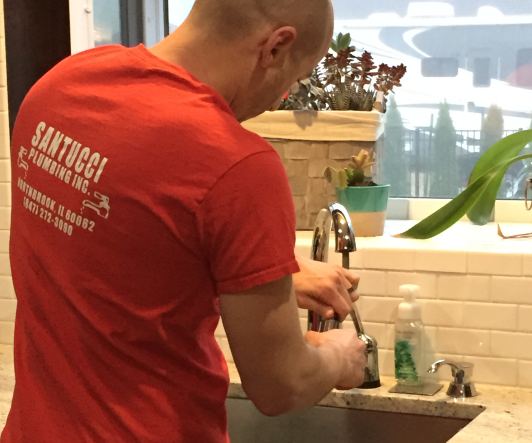 Santucci Plumbing Inc. is a solid, hard-working company. It's always great doing business with them. Great work, at competitive prices. Owners Gary and son Tony are 3rd and 4th generation plumbers. The Santucci family has been servicing the Northshore and Chicago for over 60 years. We strive to provide the highest quality work at competitive prices in all areas of plumbing and sewer drainage. We are a licensed, bonded and insured company that has built its reputation on customer satisfaction. All our plumbers are licensed journeymen and apprentices with the State of Illinois. Plumbers are uniformed and work from company lettered trucks. We provide a wide range of services with no job being too large or too small. We work with several preferred vendors in other trades to assure your entire job gets done properly and efficiently. Our service department is here to handle any of your residential and commercial needs. Any job that requires water or drainage we can help. Below is a list of some of the services we provide. Please email santucciplumbing@gmail.com for more information on preventative maintenance programs to protect your plumbing and house and to receive coupons for some of the work listed below. CALL US about tax credit eligible hot water heaters! 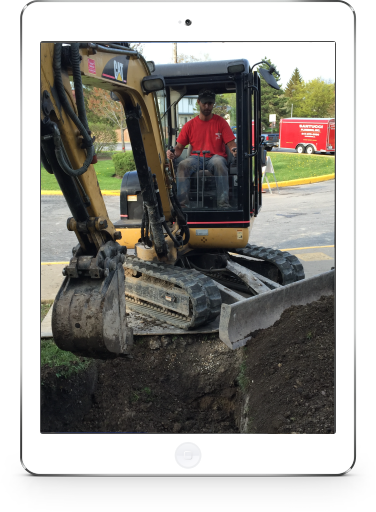 Our sewer and water department specializes in sanitary and storm sewers as well as water mains and services and all drainage systems. We have top of the line equipment to locate your problems and give you the best recommendation to fix it. Our goal is to keep the sewage from ever backing up in your house and our preventative maintenance programs are a great way to avoid damage causing situations. Experts in overhead sewer conversions. Does your basement flood? Villages like Northbrook and Lake Forest are financially reimbursing residents for overhead sewer conversion work. Call today for more info. Going Green? Call about our water storage tanks with pumps for storing rain water for later use watering plants and gardens. Our construction department is here to handle any rehab construction projects. Please contact us for more information about the following services. Contact us today for more information about our services and to request coupons for any of the services listed above. We have been servicing the Northshore and Chicago for over 60 years with the highest quality and at competitive prices. Let us take care of YOUR next project! We partner with only the best companies across a spectrum of industries to ensure we can offer you the very best of our services. Highly skilled, fair priced, honest, and easy to work with. Just good people. Nate T. - Chicago, IL. I have nothing but positive things to say about a family owned business that thrives like they have. The best of the best! Danny T. - Northbrook, IL. I recommend Santucci to everyone! reliable, professionsl and friendly. Lynne M. - Glenview, IL. Great work at competitive prices! We have been very satisfied with their work. John F. - Highland Park, IL. We are proud to serve our community and here are some of our clients. - Tree House in the Woods Condos. The Lock Up - Self Storage. Here are some useful tips for you! 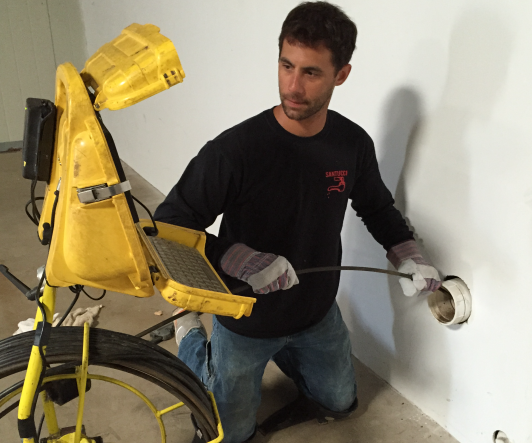 We recommend preventative maintenance sewer rodding to prevent costly future sewer repairs. Roots can cause partial or total drain blockages. Results include sewage backing up in your house and breaks in your line that can only be dug up and repaired. Maintenance rodding and root removal helps to prevent breaks in your sewer line. Some sewers are located under driveways and large trees. These are most important to maintain as repair costs are more expensive in these situations. We offer many services to best maintain your sewer systems. 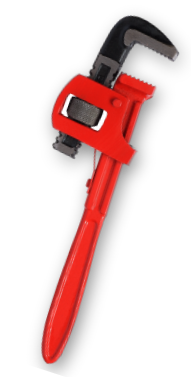 Root removal with the power rod, sludge build up removal with the hydro jet rod, camera inspection of the lines to determine condition and clean out installations for full pipe diameter rodding are all available. Normal preventative maintenance rodding is recommend every 6 months to 3 years depending on the condition of your sewer lines. This will assure your pump works when you need it to prevent damage in your home. Power outages in storms can leave you with out a sump pump for hours or even days. Battery back up systems will continue to pump even when the power is out. Just like any other mechanical device it needs to be tested and used to assure you are protected. We offer testing direction or service every 3 months to test your equipment. Batteries should be replaced every 3-4 years and pump/chargers should be replaced every 10-12 years. Hot Water Heaters should be flushed and dip tubes/anode rods should be checked/replaced every 3 years. The flushing prevents sedement build up on the bottom of your tank and the dip tube replacement will prevent deterioration and debris getting in your water lines and clogging your pipes and fixtures. Proper maintenance will prolong the life of your hot water heater, piping and faucets. The flushing prevents sedement build up on the bottom of your tank and the dip tube replacement will prevent deterioration and debris getting in your water lines and clogging your pipes and fixtures. Proper maintenance will prolong the life of your hot water heater, piping and faucets. Local Villages are assisting residents in “Over Head Sewer Conversions”. Our sewer department specializes in these conversions to prevent any future back up and flooding. The City and Village sewer systems usage is steadily increasing. City sewer systems can’t always handle the additional water brought by large storms. If you don’t have an over head sewer you run the risk of back up and flooding in these situations.